American actor, director, singer, songwriter, dancer, and rocker Terrence Mann (b. Ashland, KY, 1 July 1951) has been prominent in film, in television, and on the Broadway stage for the past three decades. He has twice been nominated for a Tony Award® as Best Actor in a Musical: for his 1987 performance as the original Javert in Les Misérables, and as the Beast in the 1994 stage adaptation of Disney’s musical animated film Beauty and the Beast. He has been a Distinguished Professor in Musical Theatre at Western Carolina University in Cullowhee, North Carolina since 2006. Terrence Vaughan Mann is the eldest of three sons of Helen Mann, a concert pianist, and Charles Mann, a dedicated member of a barbershop quartet. He grew up in Largo, Florida, where as a junior in high school he was given a role in the class play, in which “at the end of a scene, the script said, ‘They kiss.’” Terry promptly caught the theatre bug and embraced the stage as his destiny. Graduating from Largo High School in 1969, he attended Jacksonville University for two years. But in 1971 he was offered a professional summer gig on North Carolina’s Outer Banks, in Paul Green’s annual outdoor theatre spectacular, The Lost Colony. Starting as an understudy, in time he took on the role of “Old Tom” permanently, and established lasting relationships within the company, especially with choreographer Joe Layton, who later was instrumental in getting him into his first Broadway show. Decades later, Terrence Mann would return to The Lost Colony to direct the show himself for two seasons. He transferred to the North Carolina School for the Arts, graduating with honors in 1976. For several years Mann was a regular at the North Carolina Shakespeare Festival in Raleigh, and appeared in a number of main stage productions, including A Christmas Carol, The Taming of the Shrew, and Romeo and Juliet. For fourteen years Mann served as Artistic Director for the North Carolina Theatre, directing more than 25 musical productions during his tenure. In 1980 Terry landed a spot on Broadway playing two minor roles in Barnum, directed and choreographed by Joe Layton, and moved to New York. 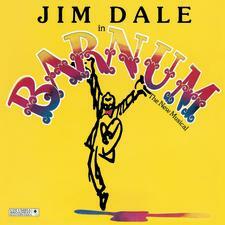 Starring Jim Dale, Barnum won a Tony Award® for Best Musical and played 854 performances; during its long run, Terrence Mann replaced a number of actors, including the understudy for P.T. Barnum himself. Soon after the close of Barnum in 1982, he auditioned for the original cast of Cats, and was given the leading role of the outrageous and irrepressible Rum Tum Tugger. His performance was so outstanding that Richard Attenborough selected him to play Larry, the assistant choreographer, in his film version of A Chorus Line (1985). 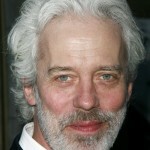 Terrence Mann now began to shuttle between the land of the silver screen and Broadway, starring in the first installment of Critters (1986; three more would follow in 1988, 1991, and 1992) as Ug, the interstellar bounty hunter of aliens, and appearing as a guest in television series (The Equalizer 1987–88), movies (Solarbabies 1986, Big Top Pee Wee 1988), and soap operas (As the World Turns 1987, Emmy nomination). 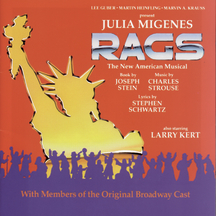 On Broadway he originated the role of Saul the union organizer in the ill-fated musical Rags (1986, 4 performances), and in 1987 created Inspector Javert in the original production of Les Misérables, a portrayal that would earn him his first Tony Award® nomination for Best Actor in a Leading Role, and occupy him for nearly three years. He would return to Javert and “Les Miz” much later, in 2003 at the end of the musical’s long run at the Imperial Theater. In the spring of 1990 Mann replaced Jason Alexander in a variety of leading roles in Jerome Robbins’ Broadway (premiered 1989), a theatrical compilation of dance scenes from Robbins’s most celebrated shows. He introduced the show as The Setter (Overture), continuing as the Emcee (from On the Town), Pseudolus (from A Funny Thing Happened on the Way to the Forum), Floy and Pa (in separate segments of High Button Shoes), Cigar (Gypsy), and Tevye (Fiddler on the Roof). He followed this in early 1991 playing Czolgosz, one of Sondheim and John Weidman’s Assassins, at Playwrights Horizons. In 1994 Mann earned his second Tony Award® nomination for his portrayal of the Beast in Beauty and the Beast, and received Drama Desk and Outer Critics Circle nominations as well. He reprised this role a year later in the Los Angeles production. Early in 1996 he was back on Broadway, but this time in a comic thriller, not a musical (although the script was by Stephen Sondheim and George Furth, and Christine Ebersole was his co-star). It was called Getting Away with Murder, and it got away with only seventeen performances. Frank Wildhorn’s musicalization of The Scarlet Pimpernel (1997), in which Mann created the role of Chauvelin, starring opposite Christine Andreas, did much better, and after some revisions lasted for 772 performances. 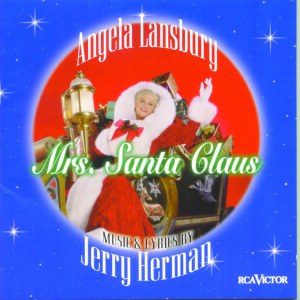 In between theatre gigs in 1996, Mann made another TV movie, the Primetime Emmy-winning Mrs. Santa Claus, playing Augustus P. Tavish to Angela Lansbury’s Mrs. Claus. In 2001 Terrence Mann was Frank ‘N’ Furter in the Broadway revival of The Rocky Horror Show, replacing Tom Hewitt. The ephemeral Broadway musical Lennon, in which he starred, opened in August 2005, but lasted little more than a month. Shortly thereafter he was in Seattle at the 5th Avenue Theatre playing Captain Von Trapp in The Sound of Music. Mann’s brother-in law, choreographer Christopher d’Amboise, wrote, choreographed, and directed The Studio, a “play with dance,” at the South Coast Repertory in Costa Mesa, California, in which Mann appeared in March 2006. The two have also collaborated on a rock-musical adaptation of Romeo and Juliet with choreography by d’Amboise, direction by Mann, and songs by Mann and Jerome Korman. As a television actor, Terrence Mann made a deep impression in 1997 in six episodes of the miniseries Liberty! The American Revolution as British General John Burgoyne. During the ensuing decade he guested on numerous series (All My Children, One Life To Live, Law & Order, Guiding Light, Love Monkey) climaxing in thirteen episodes of The Dresden Files (2007–2008) as the leading character, the accursed ghost Hrothbert (“Bob”) of Bainbridge. His feature films during this period were A Circle on the Cross (2008), Eavesdrop (2008), Jazz in the Diamond District (2008), Red Hook (2009), and The Mandala Maker (2009). Mann originated the role of Mal Beineke in the 2009 Chicago tryout of the musical version of The Addams Family, starring Nathan Lane and Bebe Neuwirth. The show moved to Broadway to open in March 2010, and Mann continued as Mal Beineke for a year, then returned to television (30 Rock 2011, Unforgettable 2011), and to his professorial duties in North Carolina. He returns to Broadway as Charles in the revival of Pippin, opening April 25, 2013, at the Music Box. Terrence Mann married Broadway veteran dancer Charlotte d’Amboise in 1996; they have two daughters.